Most people use mortgage calculators to estimate the payment on a new mortgage, but it can be used for other purposes, too. Here are some alternative uses for iCompareLoan’s calculators. By the time a 25-year fixed-rate mortgage is paid off, the typical mortgage holder will have made total interest payments significantly larger than the original principal on the loan. 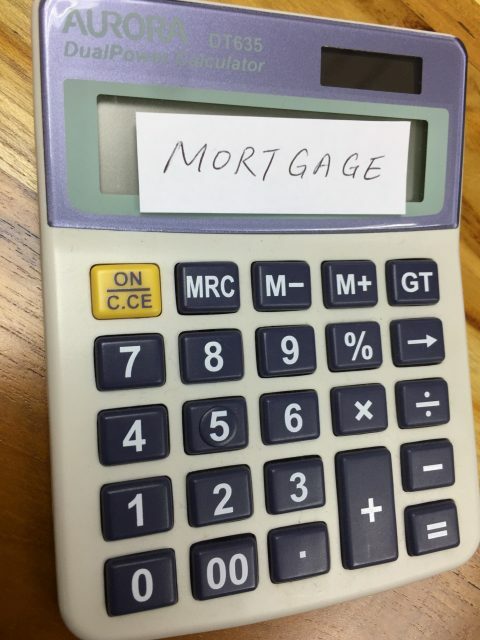 Some mortgage calculators have “Extra payments” functionality which helps you to find out how you can shorten your term and net big savings by paying extra money toward your loan’s principal each month, every year or even just one time. iCompareloan‘s ‘Interest Rate Sensitivity Calculator‘ for example, helps you to compare the Principal against Yearly Interest Rates and Term of Loan. There is also a significant difference between a fixed-rate mortgage and an adjustable rate mortgage. The former allows a borrower to “lock in” a permanent rate, whereas the interest rate on the latter could go up in the future. Always remember to check with your current lender about repricing — your existing relationship could allow you to realize big savings in terms of both time and money. Our Housing Payment Calculator for example, allows you to compare the Loan Amount against Yearly Loan Interest Rate, Term of Loan year(s), Annual Property Tax, and Annual Property Insurance. The property curbs introduced by the Government in July last year saw the Additional Buyer Stamp Duty (ABSD) rates for Singapore Citizens and Singapore Permanent Residents (SPR) purchasing their second and subsequent residential property were raised by 5 per cent for all individuals and 10 per cent for entities. The Loan-To-Value (LTV) limits were also tightened by 5 per cent for all housing loans granted by financial institutions. Our Additional Buyer Stamp Duty (ABSD) Calculator for example, shows you how much of this tax you have to pay based on your nationality, currently owned properties and property price. The term of the mortgage — This describes the amount of time it will take you to pay off the loan’s principal and interest. Although short-term mortgages typically offer lower interest rates than long-term mortgages, they usually involve higher monthly payments. On the other hand, they can result in significantly reduced interest costs over time. The variability of the interest rate — There are two basic types of mortgages: those with “fixed” (i.e., unchanging) interest rates and those with variable rates, which can change after a predetermined amount of time has passed, such as one year or five years. While an adjustable-rate mortgage (ARM) usually offers a lower introductory rate than a fixed-rate mortgage with a comparable term, the ARM’s rate could jump in the future if interest rates rise. If you plan to stay in your home for a long time, it may make sense to opt for the predictability and security of a fixed rate, whereas an ARM might make sense if you plan to sell before its rate is allowed to go up. Also keep in mind that interest rates have hovered near historical lows in recent years and are more likely to increase than decrease over time. Finally, before making that home loan decision, keep in mind that your current lender may make it easier and cheaper to reprice than another lender who would require you to refinance. That’s because your current lender is likely to have all of your important financial information on hand already, which reduces the time and resources necessary to process your application. But don’t let that be your only consideration. To make a well-informed, confident decision you’ll need to shop around, crunch the numbers, and ask plenty of questions. And to crunch numbers effectively, you would need to use mortgage calculators. Are you seeking new mortgage loans for your refinancing needs? Don’t worry because iCompareLoan mortgage brokers can set you up on a path that can get you a home loan in a quick and seamless manner. Alternatively you can read more about the Best Home Loans in Singapore before deciding. Our brokers have close links with the best lenders in town and can help you compare Singapore home loans and settle for a package that best suits your home purchase needs. Whether you are looking for a new home loan or refinance, our brokers can help you get everything right from calculating mortgage repayment, comparing interest rates all through to securing the loan. And the good thing is that all their services are free of charge. So it’s all worth it to secure a loan through them. Talk to us if you need refinancing advice. For advice on a new home loan or Personal Finance advice. The post 3 ways to use mortgage calculators to estimate payments appeared first on iCompareLoan Resources.